I was delighted to be able to attend the meeting called by Gisela Stuart last week on the future for media business in the city given the BBC’s flight from Birmingham. Councillor Martin Mullaney, sharing the top table, made some interesting opening points including the fact that they were having a meeting with the Director General about the issue. 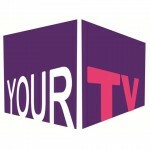 YourTV logoFollowing the Government’s announcement of its plans to create a tier of local television stations, YourTV has already announced its intention to apply for the local television licence in Birmingham. As more and more media production leaves Birmingham, YourTV Birmingham aims to redress the balance by giving the city its own local television station, made by and for local people.